This Hunter Ranger guide is meant as a general guideline. To get the most out of your character, tailor him or her to your playstyle. The Neverwinter Reddit is a good place to start if you want to learn more about your class. More builds and further info can also be found at MMOMinds. When choosing a Legendary Mount for the Mount Powers, look for a mount that has both a useful equip and combat power. The best choices for a first legendary mount as a Great Weapon Fighter is a Swarm. If you have any questions or suggestions about our Hunter Ranger Guide, please leave a comment below! More info about the HR class can be found at The Neverwinter Reddit. More builds and further info can also be found at MMOMinds. Pretty new player to the game and followed this guide for the most part( still lacking some items as RNGesus is a pita some times) and have consistently topped the dps damage charts on epic raids even after being told HRs are bad builds. All in all i am comfortable with what i have so far. Then, what do you suggest as BIS companion, Jetta? So I see this guide is for Trappers. 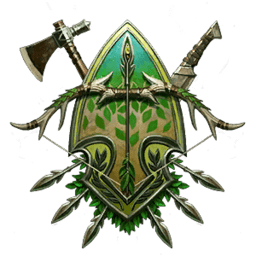 Is everything the same (except skills) for Combat Hunters? For companions I use Lightfoot thief, dancing blade, air archon, siege master and slyblade kobold. All have a bonding runestone, all are at Legendary rank and all have equipment. At Legendary status you get 16% of the summond companions ratings plus the Bonding stone buff and each legendary companion gives a bonus half as large. The slyblade kobold because 5% against rooted or stunned targets. If you go under powers then into general it says grasping roots the enemy plus I have Crushing roots class feature on so that the enemy gets dazed. 80/20 is a substantial exaggeration. Having two other Archons slotted means Fire Archon is granting +9% damage (7%, +1% added from the other two Archons, + .5% added to each of the other two Archons). Unless you’re going for something other than DPS or you’re spending all your time in the Stronghold, I agree it’s Best in Slot. Also having all your companions equipped with bonding rhinestones is useless. Bindings only go on ur summoned companion. They don’t proc for active ones, active companions are only there for their active bonus. 3 bondings on ur summoned (which should be a chultan tiger) then siege master, air archon, earth archon and razor wood. 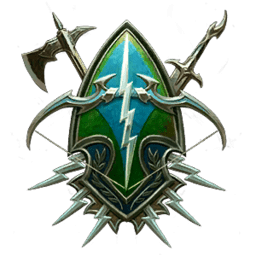 The Complete Hunter Ranger Guide has been updated for mod 15, the Heart of Fire! By Bonding Runestones, do you mean 3 bonding runestones per companion as no others are listed? nice build, however i disagree with the fear bringers being better that the terror grips as the grips give same thing with no kickback like the fear bringers. also a higher IL. Also with the boots of the willed being better that the heels of fury,fury would be better as the melee dam is more beneficial . the only other thing i suggest is the companions be air archon, razorwood, chultan tiger, fire archon (best after air, as the earth only works if you are at 100% health and the water stops working after you attack once as it only works if enemy is at 100%) and siege master as the final one. Just my opinion, but I have been player hr since day one and this is the way I like best. but to each there own. I use tiger, siege master, fire and air archon, then the serpent harpy lady as you can heal teammates for 2% of max health for 30 seconds as it’s a nice heal. Also I don’t have razor wood. Also, why not use the encounter plant growth for melee?